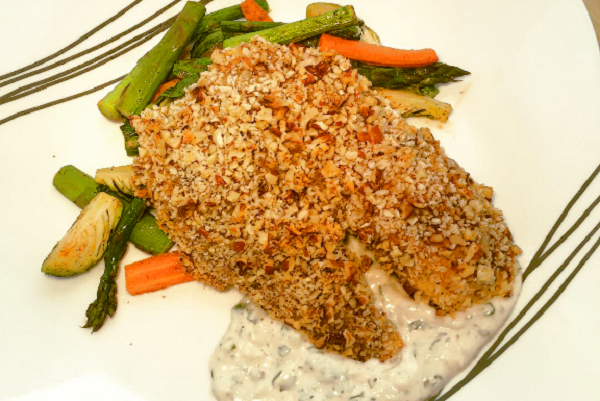 Serve up a pecan crusted, crunchy & moist baked tilapia together with a classic French remoulade and roasted mix of brussel sprouts, asparagus and carrots. A quick-to-fix weeknight entree. Preheat oven to 350F. Crack and beat egg in a bowl. Place pecan mixture in a bowl. Dip tilapia filets one at a time into egg, then into pecan mixture and lay in the provided pan. Place vegetables in a pan. Mix and pour oil mixture over vegetables. 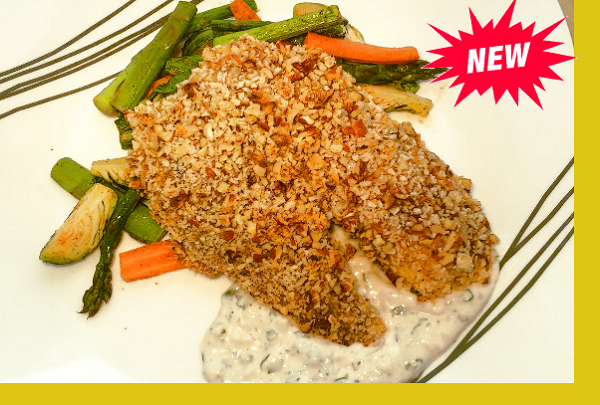 Bake tilapia and vegetables for 15 minutes. Serve with remoulade.